← What’s happening in 2015 with rom coms? Posted on 07/01/2015, in the whole rom com list, top rom coms, zom coms and tagged Anna Kendrick, Aubrey Plaza, Cheryl Hines, Dan DeHann, John C Reilly, Molly Shannon. Bookmark the permalink. 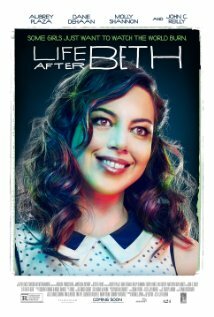 Comments Off on Life After Beth.